I am so behind on posts, I’ve been having computer problems lately. I’ve had a ton of photos on my phone ready to download for posts, but my laptop hasn’t entirely cooperated. 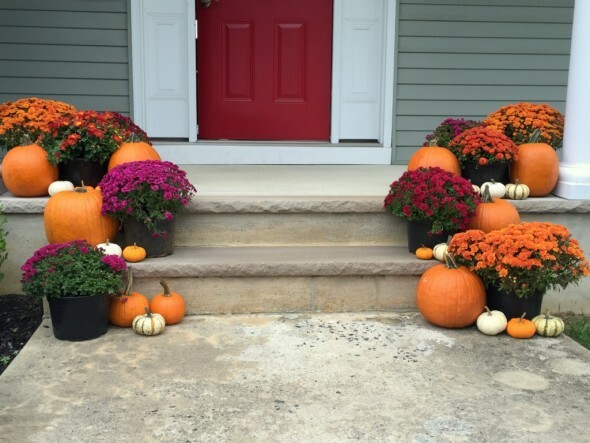 So, let’s talk about fall decorating! 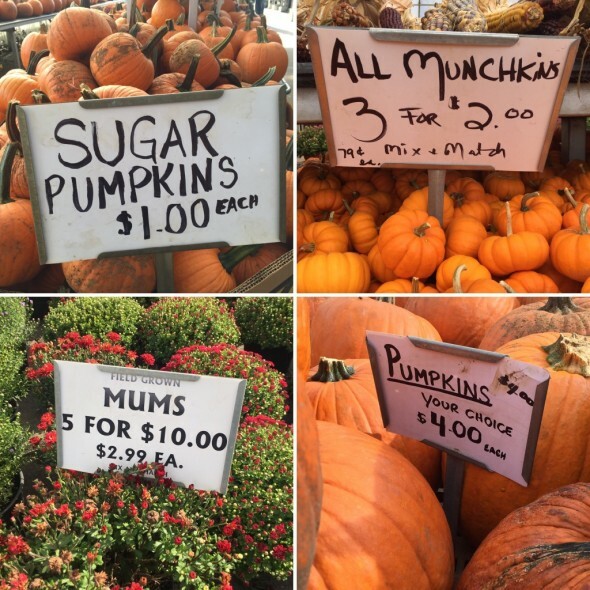 Right at the beginning of the month, H and I picked loaded up the car with pumpkins and mums from Gasko’s Farm in Monroe. We’re out there once a week for equine therapy, and the prices are fantastic. 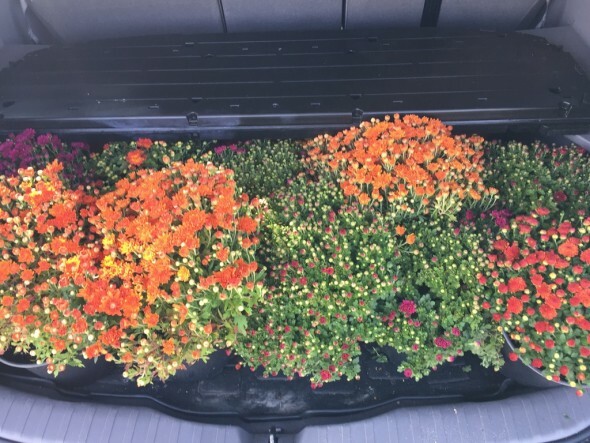 So, we packed it in the trunk. 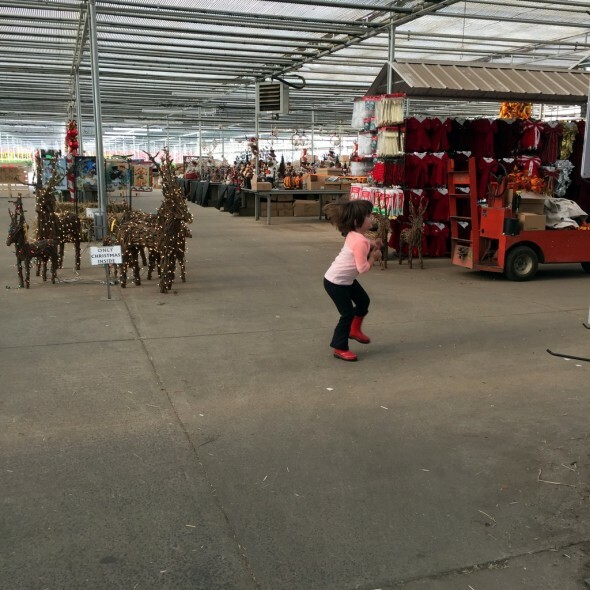 And H was wild about the Christmas stuff, which was already starting to trickle out the first week of October. 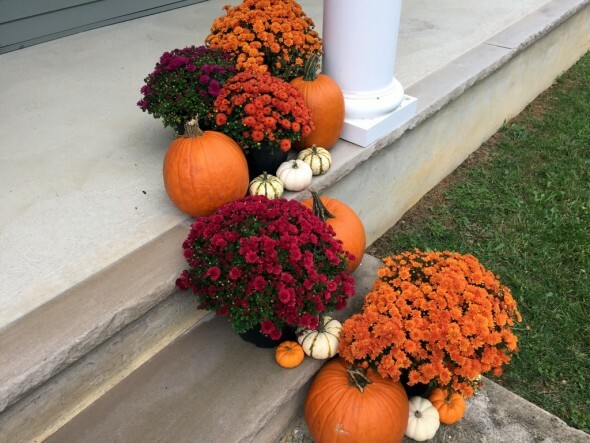 Then we put all of the fall color out on the porch steps. We still have to do some Halloween decorating, I really need to get it together here. 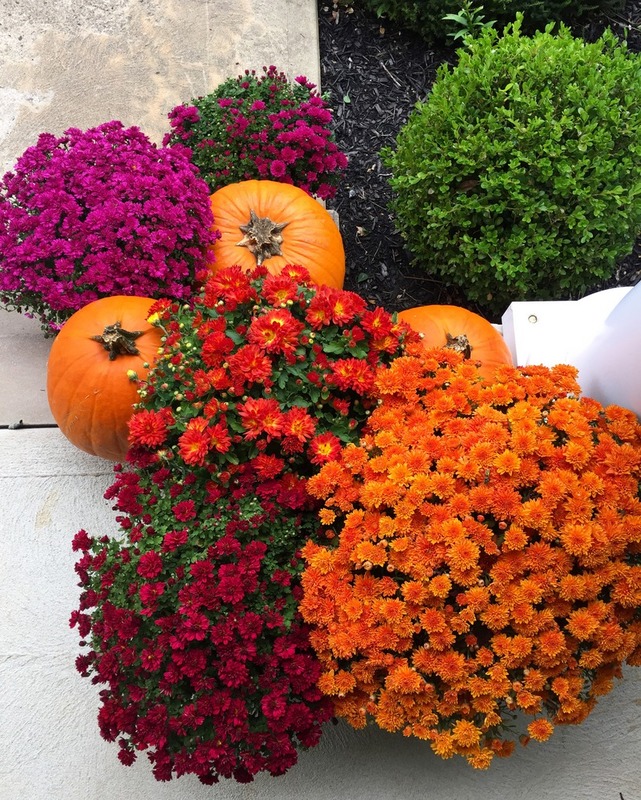 But, we’ve got some gorgeous mums and pumpkins to get us through the season so far.